At Essig Motors, we know what a challenge it can be getting your family around Mercer County safely and comfortably. After a while all those basketball games, supermarket runs, and trips to work just blur together. That's why you need a family minivan that you actually want to spend time in. Heck, we feel pretty strongly that if you get a 2018 Chrysler Pacifica minivan, driving might actually be fun, no matter where you're going! Let's take a closer look at all the outstanding performance, safety, and hi-tech features the 2018 Chrysler Pacifica minivan has to offer. The ride and handling of the 2018 Chrysler Pacifica are quite amazing for a minivan – or any car for that matter – thanks to an available touring-tuned suspension and 20-inch aluminum wheels. 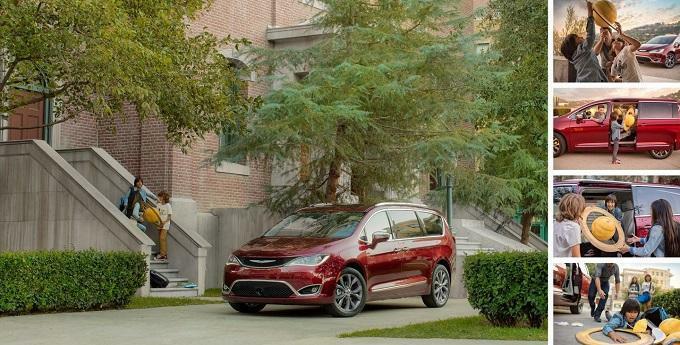 We also want to mention that the Chrysler Pacifica also offers best-in-class towing capacity! You'll also want to check out the optional Full-Speed Forward Collision Warning Plus system, which provides both audible and visual warning as well as applying Automated Emergency Braking if needed. All of this makes for a vehicle you can trust with the safety of your friends, family, and loved ones. 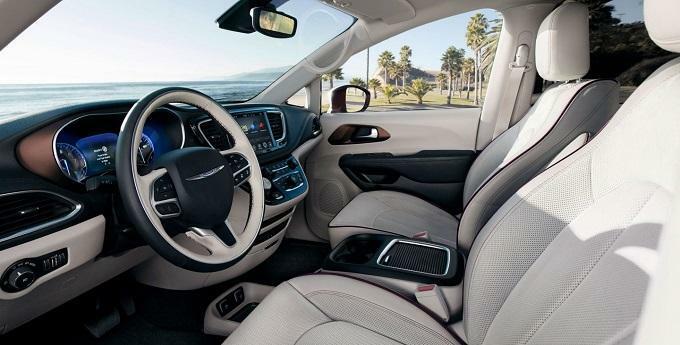 Driving and riding in the 2018 Chrysler Pacifica means you have constant access to first-class entertainment and cutting-edge connectivity. To keep your most discerning passengers – i.e. kids – occupied, you can add the Uconnect Theater that features dual 10.1-inch HD touchscreens with a Blu-ray player, wireless streaming functionality, dual HDMI inputs, wireless three-channel headphones, Bluetooth touchpad remotes, and downloadable games and apps. If you're worried about getting lost or falling out of touch with the world, the Chrysler Pacifica makes both hard to do. There is an available Uconnect 4C NAV system that comes with an 8.4-inch touchscreen, HD Radio, integrated Uconnect Voice Command, 3D graphics, and SiriusXM Traffic Plus and Travel Link. On top of all of this, you also can connect your smartphone thanks to the Apple CarPlay and Android Auto support. If all of these amazing features and benefits make the 2018 Chrysler Pacifica seem like the perfect family minivan for you, then you have to get behind the wheel of one. The best way to do that is by contacting Essig Motors and scheduling a test-drive today. Our modern showroom is open six-days-a-week, so what are you waiting for? Make 2018 the year you actually enjoy driving your minivan.